The U.S. government issued an alert about persistent cyberthreats that have been threatening utilities since at least May. The U.S. government issued an alert Friday about the nation's cybersecurity infrastructure. 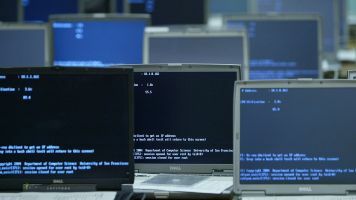 The alert outlines what it calls "advanced persistent threats" that have been targeting the country's utilities and other infrastructure since at least May. Another report from earlier this year says there have been concerted cyberattacks targeting the IT, energy, health care, manufacturing and communications sectors going back to at least May 2016. Some of those cyberattacks include the ones aimed at U.S. and European energy sectors reported by security firm Symantec in September. Hackers have also been targeting U.S. nuclear facilities since May, according to a joint Department of Homeland Security and FBI report obtained by The New York Times in July. These types of cyberattacks are often about espionage but can also be used to sabotage compromised systems. Reports like this help highlight the state of U.S. cybersecurity. Earlier this year, the Department of Defense released a report warning cyberthreats to our infrastructure are outpacing our ability to defend against them.